Thank you to the awesome Tropical Traditions for the base of this recipe. I got it out of the free Virgin Coconut Oil book that you all get by ordering anything from them, and telling them you were referred by a friend and putting in number 7858840. It's that easy and these yummy bars are very worth it. These are great to individually wrap and take on the go during the week for some Paleo snacks. George, do you have nutritional information for these? and do you consume them as a dessert or as a breakfast? and that worked well. Didn’t bother clarifying the butter either, and used coconut nectar instead of honey. I actually got more of a cake texture, and the flavour was wonderful. oh man – looks delicious. will try them this weekend. thx! I just ordered and paid through PayPal your Caveman Feast eCookbook. I’m frustrated because when I tried to access it, I got a blank screen. What do I need to do to access it? I’m using a MacBook with Intel inside. It’s an older model, but should still work. What can you suggest? Is the coconut cream concentrate to be dissolved IN the water which is also added to the ingredients OR is the water strictly for dissolving the coconut cream but water is not added to ingredients? Water is just used to the dissolve the coconut cream. Sorry about that! Does it have to be ghee or can I just use butter? It’s the only ingredient I don’t have and I can’t wait to make these. I suppose I could make ghee, but again, I’m impatient. Just thought I’d let you know that I just made these and they are great. Like a custard like pumpkin pie filling, I sprinkled extra coconut on top to give a little crunch. Also I forgot the baking powder until it was much too late and they worked anyway. I didn’t go crazy on the spices – worried it would be too spicy but I think next time I will add a little extra. A great treat for the kids during the week. Thank you. I made these bars last night, and if folks are having a problem with them setting up, it might be because they’re using the wrong type of coconut product. Coconut Cream (aka Coconut Butter) is just ground up dried, unsweetened coconut. It’s really solid stuff, at room temp. This recipe only has 3T of coconut flour, and seems to rely on the fats (coconut oil, ghee/butter and coconut butter) to keep it firm (eggs can only do so much! ), so that coconut product issue might be causing some of the problem. These aren’t cake-like, they’re custard-like. Oh, and fabulous. They’re like portable pumpkin pie filling, without the crust to get in the way. They’re going into heavy holiday rotation, for me. Yum!! Ok, so I made these a couple weeks ago- absolutely terrible. They had the consistency of pumpkin pie filling, but less delightful. Really weird grainy custard-type texture. Such a bummer because based on the ingredients and pic, they looked like they would be good! As it was, they sat in the fridge for over a week and nobody touched them after the first taste. Unfortunately, it was a waste of some good (and pricey!) ingredients. 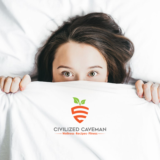 Hey caaveman what is the difference between coconut cream concentrate and coconut oil and coconut butter? Specifically I have Artisana’s coconut butter and cocomana by another company Nutiva perhaps? I am just confused. Help. thanks. thanks what about coconut oil? I LOVE Artisana’s coconut butter and they also have a product called Coconut oil. Also I assume raw coconut the fruit the young coconut is allowed in this plan? Sorry that I keep asking you these questions, I appreciate your responses. Coconut oil is literally that: oil. You can use it to cook with, like you would any other oil. Coconut “cream” or “butter” is ground up coconut. You probably can use it to cook with (the oil is still in there) but it won’t work as well as just plain coconut oil. I have been dying to ask why we (paleo-er’s) cant have the coconut sugar? Isn’t it just another part of the coconut? I just always thought “all things coconut= good.” Thanks! Well I made these tonight and they were a bit of a flop… very strange texture, not cooked through even after an hour. The flavour was OK, a bit heavy on the spice though. I’ll have to try one of your other recipes. These look delicious. I was making pumpkin custard with eggs, vanilla and coconut milk, but have been looking for a recipe like this for a while. Will have to try my hand at this soon! Mariah – I tried Nutiva coconut manna, but I prefer Artisana Coconut butter. How much baking powder? You forgot to list that. Could you use coconut milk instead of the cream concentrate? Darn. Having a hard time finding the butter. Thanks for the info. Sorry, just saw the baking powder at the bottom of the list (brain fart!) AND I googled and found out that Nutiva's coconut manna is the same thing as coconut cream concentrate. yay!! Does anybody know if Coconut Manna (made by Nutiva) is the same thing as coconut cream concentrate? Also, the instructions mention baking powder but it's not listed in the ingredients. How much baking powder? I'm having Thanksgiving for the first time at my place and I want it to be paleo. I'm so happy to find this recipe! How far in advance can you make these? I don't want to cook everything the day my family arrives. wahhh. My sure says nobody haso any canned pumpkin because of some deep freeze two years ago! Anyone else heard this? This is delicious! I think with some cheesecake mousse it would make an awesome Thanksgiving dessert. Also, for those of you who are having trouble sourcing the coconut cream concentrate, subbing it with an equal amount of butter and then adding in a drop of coconut extract might be an option. I would love to make this recipe, but I'm not sure if they're the same thing! Thanks! I think I'll give it a try.. I saw those when you posted them and they look delicious. I have tried some of your other non-bakery type recipes and I like those so I can't wait to bake some of your dessert recipes. I ordered and put your ID in the refer a friend section. Fantastic, thanks! I will definitely order the big jar of it then. I can't wait to try this recipe. Randi, my bottle of coconut cream says its good for 2 years and it will go quick once you get it, you will use it a lot, lol. If you order from them and use the referral code in my giveaway you get another entry. I love all things with pumpkin lol I stock up when I find it because it is hard to find here all year round. Your transformation has been incredible!!! I am John's older sister!!!! What a small world it is! I just started cross fit a week ago and Paleo 4 weeks ago! I am training for my first marathon I started running and losing weight last year. How long does coconut cream concentrate last. I know that the coconut oil lasts a long time and I have searched for any mention of a shelf life on the cream concentrate but can't find it. I would like to know so I know if I should order a large jar or a small one from Tropical Traditions. I have never ordered from there but figured I would give them a try. Jean, you can create your own coconut cream by refrigerating a can of coconut milk. It'll separate into cream on top, water on bottom. Would canned coconut milk work instead of coconut cream concentrate? I don't think I can buy that where I live. This looks delicious. Can't wait to try it. Thanks!